Founder and CEO at Purity, Rob Quinn takes time to look at the way in which the agency works on an increasingly international basis with clients seeking expertise in global experiential campaigns. Working from the Purity office in Soho, New York alongside Business Director Baqer Keshwani, last week gave me the perfect opportunity to reflect on the growth of the business over recent years and moreover the international work we have delivered as an agency for a wide range of clients in different markets. As we continue to move towards a globalised society, physical borders matter less and less based on what we have seen, heard and discussed with clients over recent years. There is a growing opportunity for agencies, such as Purity, who have the capacity and capability to deliver international experiential marketing projects. At the time of writing this we are working to support one of our key global clients on a project that will see our teams working beyond the UK into Russia, Dubai, and Hong Kong. This is not unusual for Purity given our history. We have the proven expertise to deliver and support on complex projects anywhere in the world. This reflects our strategy as an agency moving forward. Working closer with clients to understand their international requirements and demonstrate where we add true value, providing localised expertise to drive the effectiveness of projects around the world, using best in class planning, strategy, creative and implementation. Delivering the highest possible quality irrespective of location with a consistency of execution is a fundamental requirement for any agency with global ambitions. Understanding the local market with people on the ground can often be overlooked but such a short-sighted approach can result in a flawed execution. Exploring what it takes to deliver such projects is important. This was our third year working at the Abu Dhabi Grand Prix supporting both the Starwood Preferred Guest and Marriott Rewards programme. The activation at the back end of 2018 at the last F1 race of the year was bigger and better than ever both in the fanzone and across Abu Dhabi. Much like our work in Abu Dhabi, 2019 represented a third successful year of working at the world’s largest technology convention. The stats of this show year-on-year never fail to impress at this show which boasts in excess of 5,000 exhibitors showcasing the latest break-through in technology to over 200,000 tech-hungry attendees. Our recent blog post shared a taste of what was high on the agenda for 2019. 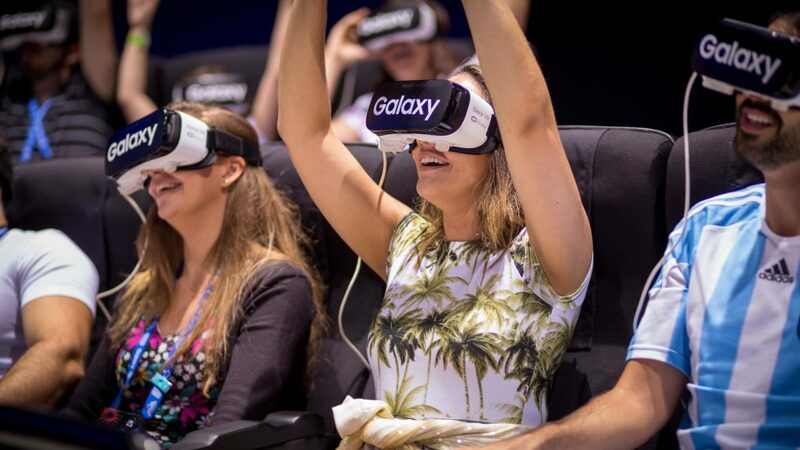 We always look fondly back to our involvement with Samsung in 2012 at the London Olympics and then Rio happened and it blew our mind. Working at the Olympic Park, Athlete’s Village and Main Press Centre during both the Olympic and Paralympic Games was a truly life-changing experience for everyone involved. To be part of the world’s biggest sporting event in such a wonderful location proved to be challenging and rewarding in equal measures. With Tokyo 2020 not that far away we would certainly love to make this our third successive Olympic Games. Given this is being written in the Big Apple, it wouldn’t be fair to not include our work in this wonderful city. 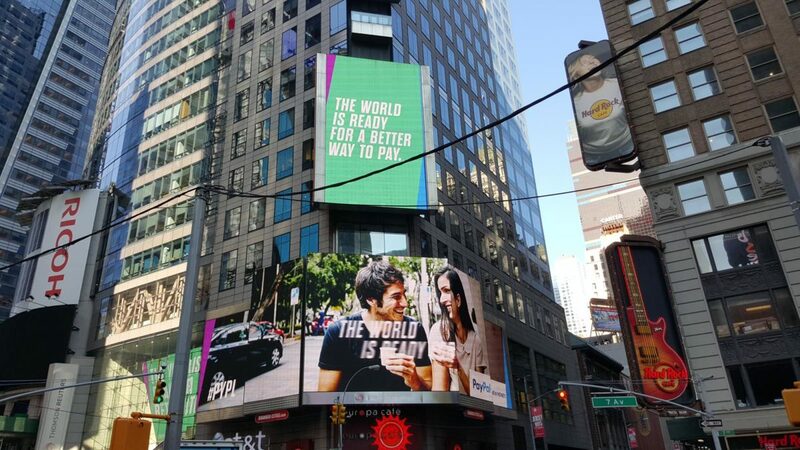 There have been a number of projects that the agency has been involved in stateside and arguably none more patriotic that England Day, however working in Times Square for power brand Paypal feels just about right to include in this blog. To understand how Purity can work with you to shape and deliver experiential marketing campaigns anywhere in the world contact the team to talk your requirements through.